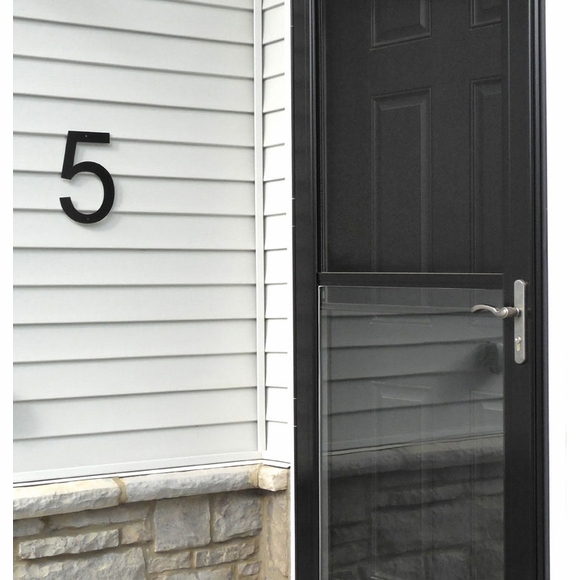 10" Black House Numbers And Letters - - oversized 10" address numbers custom made in the USA. The numbers and letters are made from 1/4" acrylic. If you are interested in thicker numbers or letters on in numbers or letters made from metal, please do not order this product. Each number or letter comes with two 3/16" diameter fastener holes and stainless steel mounting screws. Dimensions (approximate): the number 1 is 3.75"W. All other numbers are 6.75"W. Letters vary. Height of all numbers and letters is 10".